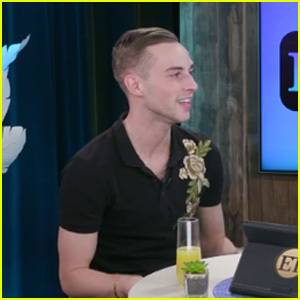 Adam Rippon Opens Up About Meeting Sally Field's Son Sam! Adam Rippon is opening up about meeting Sally Field‘s son, Sam Greisman! The 28-year-old Olympic figure skater visited ET‘s studio on Thursday (March 15) and discussed meeting Sally‘s son during the Human Rights Campaign gala after she tried to set the two up via social media. “It was nice to meet him. While I was at the dinner, someone came up to me and they’re like, ‘Sally Field’s son is here,’ and I was like, ‘I have to meet him,’” he explained. “I think there were some friendship feels,” he added. As for what he’s looking for in a guy? “What I’m looking for is somebody who has a lot of passion and is funny,” Adam revealed. 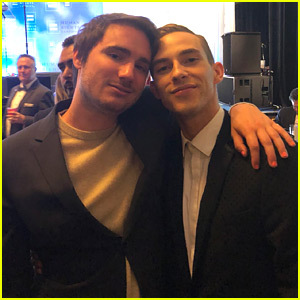 Adam Rippon Meets Sally Field's Son After She Tried to Set Them Up! Sally Field must be so happy! After the two-time Oscar-winning actress tried to set her son Sam up with Olympic skater Adam Rippon, it looks like the two have finally met! While they both attended the 2018 Human Rights Campaign Gala Dinner on Saturday (March 10), Sam took to Twitter to share a photo of himself with Adam! “Thanks, mom,” Sam captioned the below photo of the two of them. No word yet how Sally has reacted to the meet up, but we can only imagine how excited she must be! Adam Rippon Responds to Sally Field's Matchmaking Attempt with Him & Her Son! Over the weekend, Sally Field did some Twitter matchmaking and tried to get her son, Sam, set up with Olympic skater Adam Rippon. Sally tweeted Adam to get his attention after Sam expressed an interest in the figure skater. Well, Buzzfeed caught up with Adam and his response was perfect! Sally Field Is Trying to Set Her Son Up with Adam Rippon! Sally Field is trying to set her son Sam up with Olympic medalist Adam Rippon and it might be one of the best things you see all weekend! The two-time Oscar-winning actress was texting with Sam, 30, about Adam and he shared the conversation on Twitter.